In the days of film camera, photographers are constantly faced with the dreaded one shot proposition and if his settings are ideal for that particular scenario when the shutter release button is pressed. At least until the print is obtained will he then find out. The Nikon D90 brought this tradition to automatically capture your subject with a plus and minus "compensation" of your subject, bringing the camera to work thrice as hard to store your shot in multiple (up to 3 shots total) compensated settings - White Balance (K) / ADL / AE / AE and Flash / Flash Only. In other words, when you take that shot, the camera automatically replicates and store up to two additional image that you want compensation introduced. I personally find ADL (Active D-Lighting) compensation not having a significant impact on the image I want compensation introduced but rather, more in activating the color temperature compensation (White Balance) that I yield rather interesting results. In compensating the WB, we can choose how many "stops" (aka mire) we want the image over and under-balanced. This "bracketing" feature is now almost always activated on my Nikon D90. Well wishing all visitors a purposeful new year, despite the fact the economy is not at its best of state! But well, looking on the bright side of life, one should count your every pleasant blessings one received in 2008. That should help make it easier to approach the new year. 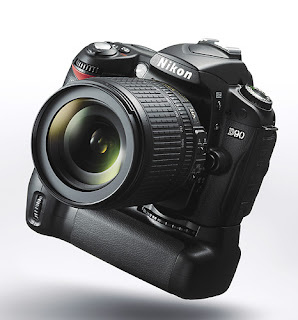 To all readers out there, I am enjoying writing about the Nikon D90 as you are reading them. Hope it has been informative and useful to all you photographers! 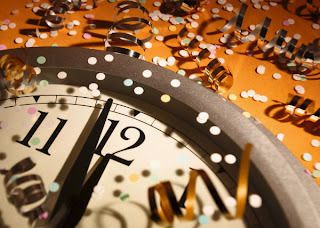 Enough said - Happy New Year! 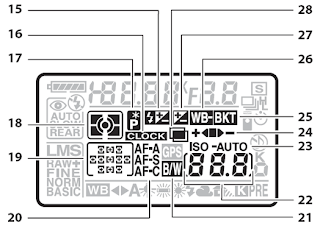 We have all heard of the image processor name like Canon's DIGIC IV, Pentax's PRIME and the Nikon's EXPEED, but what they actually do is not exactly spelled out in a paragraph in any user manual. Talking to Nikon directly has helped a bit and here's what I found to be the capability of Nikon's Expeed image processor. To what I often hear from friends and folks around me, I am constantly accused that my camera - Nikon D90, does more than taking the pictures! And in several occasions, the output of my shots surpasses that of the original! To begin with, the Nikon Expeed image processor manages features such as real time chromatic aberration correction and Active D-Lighting. For those of you who are not familiar with the D-Lighting technology, D-lighting can “light” the dark parts of the image by using a filter. This way the system will lighten pixels in depends to where the pixel is in the image. Also interesting to note is the new “Picture Control”, a unified color system for all Nikon Cameras. There are Standard, Neutral, Vivid and Monochrome Picture Control settings. Each can be tuned by the user and could be transferred to other cameras. 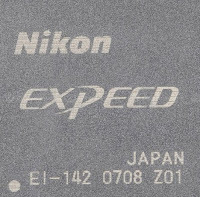 Nikon claims EXPEED is capable to produce the same image quality as Nikon Capture NX, which normally does produce excellent image quality. To top it all up, the retouch menu on our Nikon D90 has capabilities that can actually be found on the actual Capture NX program! This means the Capture NX processing power and Noise Reduction algorithms are now packed into a chip for each of our shot. Now, this is indeed an unfair advantage! OK. Let's be honest. 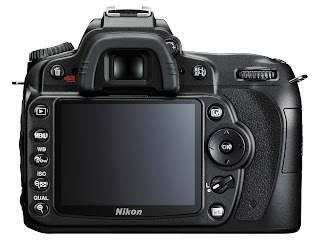 With the significantly slower focus speed while in live view, who in the world would want to use live view in the first place on the Nikon D90? On an initial glance, perhaps only in two occasions - while taking HD video and attempting to preview how our customized WB, metering mode etc. is affecting the outcome of the subject we are about to take. But again, the Live View may just be designed to fulfill this two situations. Some say, it has a third purpose - for manual focus shooting! Yes, you can also now see 100% of the image to be taken, not the 96% on the viewfinder. In addition, it may well serve as a platform for you to experiment or learn advanced techniques like EV compensation, White Balance on your subject. In other words, there's a world new world with the use of the Live View function on the Nikon D90. Turn Live View on and try it for yourself today. But remember, your subjects better be a stationary object or a very patient creature to do this. I visited the local Nikon showroom recently just to check out how the service center works and how each product was showcased. Not surprisingly, the bigger brother D300, D700 and D3x were all on display on the hands-on counter. I swiftly picked the D700 up, followed by the D300 and was surprised to discover that the grip is significantly shorter than the Nikon D90's! Meaning to say, i find my finger nails biting into the body as the whole weight of the camera rests on the right hand. When I re-picked up the Nikon D90, it just felt deep enough with the proper recess to contain my hand comfortably. None of my finger nails were forced to bite onto the body while on single hand. Mind you, I have a rather small hand. This goes on to show how Nikon has taken this ergonomics into a higher gear with the revamp of the hand grip, making it significantly much more comfortable to hold the Nikon D90 for long time intervals. And with the battery extender MB-D80 installed, it is really beginning to feel like one proper camera. The weight distribution is almost 50-50! Interesting discovery I must say! No Flash (Use in areas where flash is not permitted) - The no flash mode enables you to take pictures easily at museums and aquariums that do not permit the use of flash. When shooting a night scene with a tripod, this mode can prevent images from turning out too bright and give the image a more natural feel. Portrait (Blurring the background in order to make the model/subject stand out) - This mode creates a much more outstanding portrait by blurring the background, bringing the focus on your subject and nothing else. With the aperture set wide open, it is more effective with a fast aperture telephoto lens. If you lock your auto focus point after focusing, you can change the composition of the image when shooting. Landscape (Pan focus on the entire landscape to bring out the appropriate brightness and sharpness of the scenery) - It is better to use the wide-angle end of a zoom lens to pan focus on the entire scenery when shooting landscapes. Flash is disabled in this mode, so I strongly recommend using a tripod when shooting at night. Close-up (For high-magnification shots of a subject) - When taking close-up shots, it is recommended you use a macro lens, or the telephoto-end of a zoom lens. If your focus is inaccurate, the Focus confirmation light will blink, indicating an error. You should position your focus a step away from the subject. Sports (For capturing fast-moving subjects) - In this mode, it is recommended to shoot with a telephoto zoom lens from far. When selecting the Central AF point, press the shutter button completely and the camera takes shots continuously while maintaining focus. Night Portrait (Recommended for shooting glamorous portraits at night) - When shooting darker interiors or against night scenery, choosing the Night Portrait mode ensures the right brightness of both the portrait and the scene behind it. As the shutter speed is rather low at this point, a tripod is necessary. Until today, I finally discovered how histogram can be used to tell me how each taken picture is exposed. But as far as I am concern, we should still use one as a guide and not the definitive way we compose and portray the outcome of the intended picture! 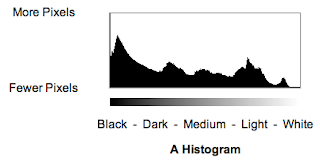 A histogram is a graph counting how many pixels are at each level between black and white. Black is on the left. White is on the right. This applies to the RGB histogram that comes available with each of our picture. The height of the graph at each point depends on how many pixels are that bright. Lighter images move the graph to the right. Darker ones move it to the left. Easy! A good image often, but not always, has a histogram spread all over. With a wide array of preset White Balance settings on the Nikon D90, I find myself spoilt with choices to carve the light spectrum reaching my subject. In most instances, the Automatic mode seems just fine. But in my quest to hone in on color accuracy, I begin to trust my eye judgment in setting the Kelvin temperature scale instead. Try your next shoot with the above guide and you'll be surprise our human metering can bring out surprisingly refreshing difference! • Shoot NEF format. You have the original sensor data to deal with, and can apply different interpolation routines on it after the fact. • Get the exposure right. Incorrect exposure has impacts on all kinds of image quality issues, including visibility of noise, contrast, and much more. Any underexposure of a D90 image tends to produce more visible noise, especially if you adjust the exposure later in post- processing. Note that you can check channels individually on the D90, so there’s no excuse for blowing a channel, either. However, to keep from doing so when you’re shooting NEF, you should also set the proper white balance setting (the histograms are calculated from the embedded JPEG, which means that the white balance data is reflected in the histogram!). • Keep the sensor clean. Even with Photoshop’s Healing Tool or Capture NX’s Dust Off function, you’ll still end up spending some time cleaning up dust bunnies in large bright areas of images shot at small apertures. Plenty of quick and good cleaning options exist now, so use one regularly, such as the Sensor Brush. • Shoot at the lowest ISO you can, and use Long exp. NR (noise reduction; on the SHOOTING menu) on exposures over 8 seconds. (This form of noise reduction does not lower detail.) Once noise is recorded in an image, getting it out is difficult at best, impossible at worst. ISO 200 is where you want to be as often as possible—at this value the D90’s images are nearly noise free and have a great deal of detail and clarity. If you shoot at high ISO values you have to make a choice: detail or not. Turning on High ISO NR (noise reduction) will cause loss of some detail in JPEG images, though the noise will be better controlled. 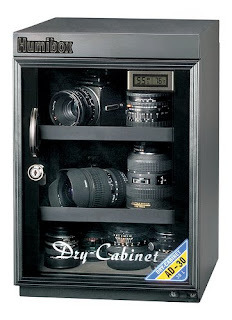 • Keep your camera cool - Noise generation increases in the camera as the temperature rises. Bear that in mind. 2. Raise Your Left Shoulder…. Raise your left shoulder, and bracing my left elbow into my rib-cage. For further stability, you can pull your right elbow in to your chest. As always, exhale completely before depressing the shutter to avoid introducing shake. Have a seat! You can create your own tripod by resting your elbow on your knee while in a seated position. Again, bring that other elbow in for greater support. Lie flat and let the lens sit directly on the ground. The problem with this is that you’re likely to have quite a downward tilt to the lens and unless you’re aiming to photograph the pavement, you probably won’t end up with the shot you’re hoping for. As an option, you can place your hand flat (or clutch it as a fist for greater height) against the cement and balanced the lens on top of it to give yourself some height. 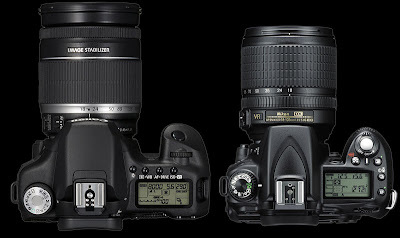 If you ask me, in what situation would you require the capability to shoot over 1500 images on one go on the Nikon D90? The answer - When you need to do both images and videos on your day shoot. Frankly, the use of interchangeable lens on a DSLR coupled with HD video recording can almost mean the death of your current video camcorder but this would also mean the need for a bigger battery capacity. According to Nikon, one minute of video recording equates to one percent of your battery life. Hence, if you are planning to shoot and take video for those holidays of yours, you jolly well pack the MB-D80 along. And if you seriously cannot locate a recharging power point, at least you can still use those run-off-the-mill AA batteries for your Nikon D90. One word of caution while installing the battery grip though. 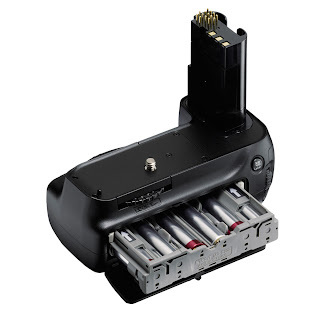 The three battery pins within the chamber of the Nikon D90 may not be properly aligned from factory, meaning to say you need to manually adjust it in order for the battery in the MB-D80 to be properly recognized. 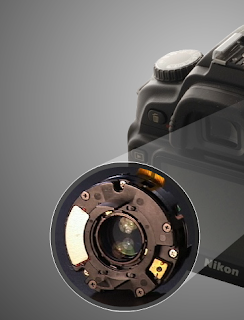 This is very important and will save you countless trips to the Nikon service center. That aside, I personally find that the whole camera is significantly more comfortable to be carried with the use of the MB-D80, and portrait shots are now composed so effortlessly. And if you choose to use one single battery, it will still work. Lastly, kindly take advantage of the AE-L/AF-L button on the grip or you will just be wasting that functionality (and your money) entirely. It’s a significantly improved version of the Multi-CAM 900 autofocus module found in the Nikon D100, D70, and D50 digital SLR (DSLR) cameras. Where the Multi-CAM 900 was limited to Single Area, Dynamic Area, and Dynamic Area with Closest Subject Priority modes, the Multi-CAM 1000 adds another AF mode called Group Dynamic. This mode gives you finer control over things like sports photography, macro focusing, and selective area AF. While the Multi-CAM 900 had five AF sensors, the Multi-CAM 1000 gives us 11. 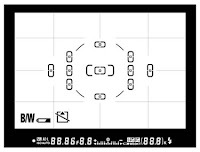 It is very similar to the 11-sensor arrangement in the flagship Nikon D2x Multi-CAM 2000 system. So, you can expect professional-level performance from Multi-CAM 1000 in the D90. Why is it called Multi-CAM 1000? The number 1000 represents the approximate number of CCD contrast-sensing elements in the autofocus system. With so many elements, it will autofocus in low to high light levels and at high speeds. A unique feature of the Multi-CAM 1000 in the Nikon D90 is the ability to combine the 11 sensors into a 7-AF areas wide-array arrangement. This gives you the ability to better follow moving subjects like flying birds, race cars, or airplanes. The rule of thirds - The theory is that if you place points of interest in the intersections or along the lines that your photo becomes more balanced and will enable a viewer of the image to interact with it more naturally. 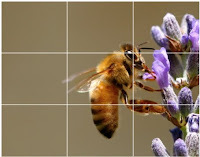 Studies have shown that when viewing images that people’s eyes usually go to one of the intersection points most naturally rather than the center of the shot - using the rule of thirds works with this natural way of viewing an image rather than working against it. 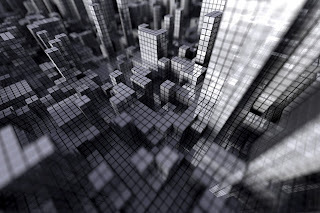 Show the third dimension - A thought-through mindset and applying of a combination of well-focused subjects and soft backdrop in between the subject to give an overall 3D dimension of the image. The lens Depth Of Field will also ensure a sharp contrast of sharp and soft focus on subjects and surrounding. Overlapping objects - The intentional laying of objects over each other across the viewfinder, giving viewer a concept of space and depth on the picture. Follow these tips and you are on your way to taking better pictures altogether! Well, I did. 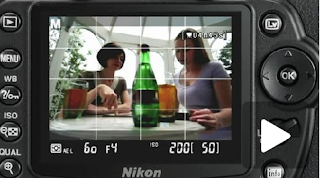 While some have been skeptical of the D90's video recording as a useless gimmick, Nikon has posted a bunch of videos showing off some of the amazing things you can do with the camera. The above clip ticks off some of what you can do with a variety of lenses, toying with fisheyes or super-zooms, but the two below really show what the camera can do, like create stunning effects with a shallow depth-of-the-field, and the detail it captures in low light using a pumped ISO. 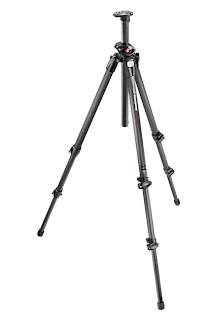 The quest for the most effective tripod is underway and it currently pointing me to choose one that is stable yet lightweight enough to carry around all the time. However, carrying one around all the time may just be too troublesome for some. 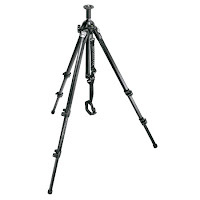 A good choice will be the Manfrotto 055CXPRO3 055 CF TRIPOD-Q90-3 SECTION. How about those times when carrying a tripod is just too tedious? In these situation, you must observe the basic focal length formula to ensure sharp images while shooting hand held. For example, while shooting at 50mm, a bare minimal shutter speed must be maintained at 1/60 second or faster. At 100mm, your shutter speed must be at least 1/125 second. This way, you will ensure sharp images are maintained consistently. Of course the VR engine of the kit lens will assist a few stops better but you should follow the above rule of thumb whenever possible. OK. I must have read the manual many times over but only discovered its true use today! In fact, its embedded among three other area focus mode - Single point, dynamic area and auto area. How different then is this mode compared to the rest in the Nikon D90? Single point - Used in conjunction with AF-C to enforce camera focus engine to continuously attend to a single point of a stationary or moving object. User can manually override focal point by clicking on "OK" button behind the camera and selecting an appropriate focal point with the four-way direction pad. Camera will ignore all other areas of the composed image. Dynamic area - The camera will take into consideration the multiple focal points previously identified around the subject and use them to refocus in event the subject should leaves the center frame. Depending on the AF mode used - AF-A/AF-C/AF-S, user may be able to release the shutter door regardless if focus is achieved first. Auto-area - Fully automatic default that enables the camera to pick multiple focal points with the subject. This mode does not provide user the flexibility to override or specify a desired area to focus on within the composed image. 3D Tracking - Similar to Dynamic area but with the intelligence to track a moving subject real-time within a stationary or panning frames. Good for unpredictable, moving subjects. This is achieved with the use of the built-in 420-pixel RGB sensor to track subjects in motion. As the insatiable desire to compare in all of us go, we often find ourselves comparing the Nikon D90 with some competing products in the market, but what better assured confidence we gain when we know the Nikon D90 is truly an innovative imaging solution. Incorporates a 420-segment RGB metering system compared to the 35 segment metering system on the EOS 50D. This Scene Recognition System is designed to recognize the subject or scene conditions prior to capture. 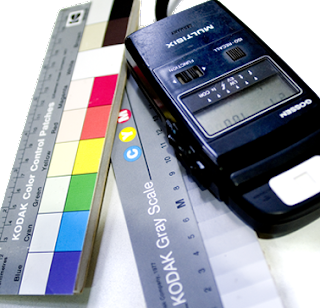 The results are then reflected in auto exposure, autofocus, and auto white balance for highly accurate control. Offers a 2 stop EV over 3200 ISO sensitivity setting equal to 12800 ISO. 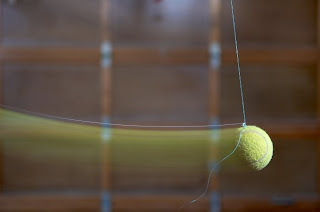 Up to 1/8000 sec shutter speed on the EOS 50D versus 1/4000 sec on the Nikon D90. Free Upgrade to 20GB today! Login and click upgrade storage to get your storage space bumped up to 20GB! I just did! OK. Here's a more complete photo shoot I did for the last one month. Enjoy and let me know if you do. Nikon's old Mypicture town is very unstable (on my Mac) and hence the switch. Besides, if you are serious about your work been seen, here's the place to upload to, earning points as you go along! As the diagram on the right shows, the concept of Nikon CLS is broken down into a few areas of competency and I have been happily exploring each of this area (except wireless commander mode) which the Nikon SB-400 does not support. But that aside, it works 90% of the time and its superb and bargain to use one, as opposed to the more advanced SB800/900. FV lock was especially useful while the Auto FP high-speed sync allows beautiful night shots even at high shutter speed. 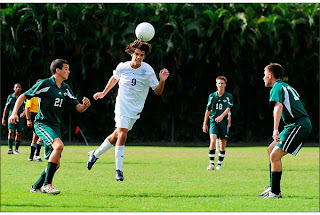 Another gem I found for first-time users of the Nikon D90 camera right in the embedded Nikon web site. A series of video tutorial to kick start the enthusiast in you. No blog can explain as well as the manufacturer themselves. At the time of writing, Nikon has launched VR II, a more advanced iteration of VR Generation I. This effectively put the power of up to four stops from weak-handed photographers of today, possibly lessening the need to lug around a heavy tripod. Click [here] to read the full content. 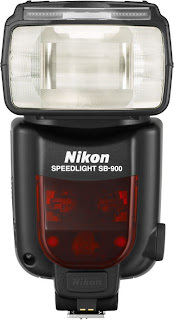 What About Curtain Flash Sync in Nikon D90? Rear Curtain Sync - this tells your camera to fire the flash at the end of the exposure. When you press the shutter release, your lens will open up, starts collecting light fires up the flash just before it closes. Front Curtain Sync - this tells your camera to fire the flash at the start of the exposure. When you press the shutter release, the flash will fire immediately and the shutter will remain open, capturing remaining ambient light before closing soon after. You might not think there’s much difference between these modes but when you’re photographing a moving subject, this will begin to create a dramatic impact. You’ll find many action/sports photographers will use Rear Curtain Sync when shooting with a panning technique. Take this as a pinch of salt but this may all satisfy the Nikon D90 owners who would say amen with me. 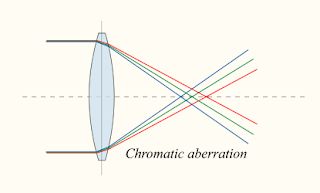 One identical lens was used with the test. Verdict - Its the photographer, not the camera? Yes, its built-in for the Nikon D90 and higher end of the Nikon DSLR series but only introduced in the latest Canon model - Canon 50D. But do note that while you shoot in RAW, this automatic correction will not occur automatically. Thankfully for Canon, the supplied software that comes bundled can still perform CA correction during post image processing. Hence, to activate CA, remember to turn it to JPEG shoot to enjoy cleaner color edge images! Moving along with my hands-on on the Nikon D90, I moved into flash photography today. My first impulse was to turn off that auto ISO limit and moved it all the way down to LO.1 (or ISO 100). Facial hairs, reflections on the pupil of my portraits became apparent and natural, utilizing bounced flash for each of those shots. Again, as I said, its a hobby and I intend to keep it that way. SB-400 is good enough for me. With an effective range of up to 60 feet, NEF images on my Nikon D90 appears analog-film clones. Installing one is a snap. 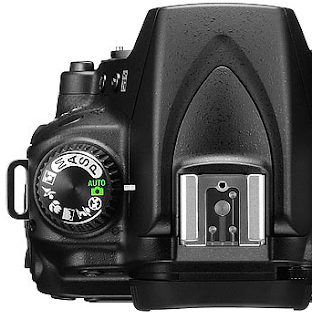 The D90 automatically detects it and control it for each shot. Rear sync flash becomes fulfilling once again. 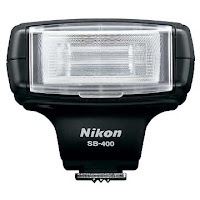 The SB-400 flash unit supports improved Though The Lens (iTTL) balanced fill-flash feature, FV lock, flash color information communication, rear curtain sync and red-eye reduction on the Nikon D90. Flash Value (FV) lock is the ideal tool to take out-centered subjects in dark backdrop with the intent to bring out the background detail. The AE-L/AF-L button can be configured to activate this function on demand. Please remember to switch E5 custom menu item to ON to enable Auto FP high-speed sync to take shots with varying shutter speeds of 1/200 to 1/4000 second. 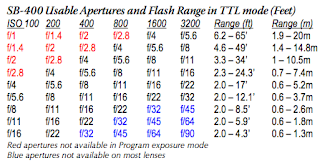 I encourage you to know all about flash photography [here]. The bundled software that comes with my Nikon D90 is outdated. 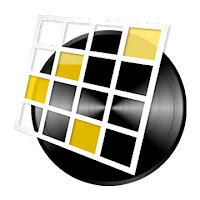 Do take some time to bump it up when possible to version 1.3, available for both operating systems - Windows and Mac. 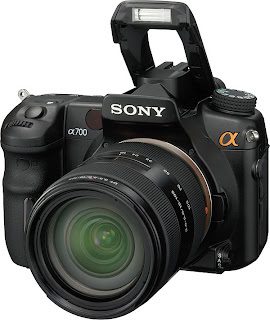 Image display support for NRW-format RAW images captured with the P6000 has been added. However, these images cannot be developed or edited. A GeoTag icon has been added to the toolbar. Based on the GPS information embedded with capture, shooting location can now be indicated on maps using Web Mapping services. In addition, GPS data can now be added to images captured with cameras that do not offer a GPS function or those to which geotag information has not been attached, by confirming shooting locations on the map. A myPicturetown icon has been added to the toolbar. Files can now be uploaded to myPicturetown by simply clicking this icon. IPTC information can be copied and/or pasted. Select the image containing the XMP/IPTC information to be copied, and then select Copy IPTC Information from the Edit menu. Select the image(s) to which XMP/IPTC information will be pasted choose Paste IPTC Information from the Edit menu. XMP/IPTC information copied to the clipboard will be saved to the selected image(s). File and camera information for a particular category (File Info 1, File Info 2, Camera Info, etc.) displayed in the Metadata palette can now be copied via context menus*. Sharpness, Contrast, Highlight Protection, and Shadow Protection adjustment functions have been added to the Quick Adjustment palette. Fine Adjustment, and Tint adjustment functions have been added to the White Balance section of the Quick Adjustment palette. When Use Gray Point is selected for adjusting white balance from the Quick Adjustment palette, the size of the point can now be selected from 3 pixel sizes. In Full Screen display mode, file order / total file number is now displayed in the bottom bar. In Full Screen and Image Viewer modes, the zoom ratio is now shown. Two separate image rotation icons, Rotate 90° CW and Rotate 90° CCW, are now available in the toolbar. A Rotate 180° has also been added to the context menu*. Full screen slideshows of all images can now be displayed when no images or just one image is selected in the Thumbnail area. When a window is displayed on the secondary monitor in a multiple-screen environment, the display profile can now be changed to that of the secondary display profile. Map Datum and Altitude Reference items have been added to the GPS information displayed in the Metadata palette. * - A context menu is the menu displayed when the mouse button is clicked while holding down the CONTROL key. Center-weighted - measures the entire frame, but effectively separates it into two zones, the central area and the outer area. The exposure is based 75% on the central area, 25% on the outer area. The central measuring area is normally 8mm (customizable to 6 or 10mm) This mode is recommended for potraits. Which mode for what shots? Matrix for most situations; center-weighted for backlit subjects in very bright light (snow, sand, etc.) The matrix metering pattern sometimes has problems with very bright scenes with a great deal of contrast in them. Most pros refuses to pop that built-in flash on their camera and they have an extremely good reason in not doing so. And in situation they use one, it would be an external unit flash that can be either connected wirelessly or physically to their DSLR. The Nikon built-in flash, though compensate-ready, more often whiten the subject than adds clarity to it, all for the fact its direct fire on your subjects. Though whitened, your subjects now becomes significantly sharper but less natural looking. The ISO 3200 exposure without flash has now been automatically adjusted to ISO 200 by your camera. To have the best of both world, the use of "bounce" flash shots is like a dream come true. And such feature can only be available in an external flash unit. So, its like a must for those of us coveting significantly better indoor pictures. Capability and size of the sensor grid is everything. And in the heart of the Nikon D90 lies a slightly modified Sony IMX021 CMOS (Complementary Metal-Oxide Semiconductor) sensor grid, churning out 4288x2848 photosites grid image via a 12-bit A/D converter. Now, that's good enough for most users. 12 bits-per-pixel tonal range may not seem like much, but it translates into the ability to render 4096 shades of an individual color - Red, Green & Blue. This alone result in image quality that even our human eyes can no longer differentiate. 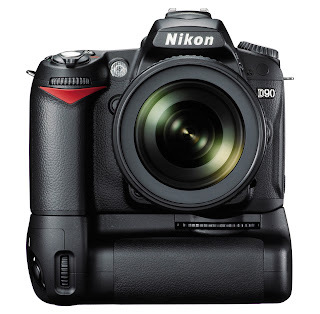 All electronic equipments need to be optimized and that applies to the Nikon D90 as well. This include recommended picture control creation, Fn button function assignment, lens filter usage, ISO limit set and image format set. In my experience of photography, the use of external flash unit on the Nikon D90 is also highly recommended for bounced lighting for indoor shots. Based on the pros, a unique set of new picture controls can be easily created under the menu of the Nikon D90. This brings instant recall capability to use the right tonal settings for the shots you may encounter. Each default tonal setting - vivid, neutral, standard, monochrome etc. serves a unique purpose and use of it is highly recommended throughout your shoot. Of course, users are encouraged to play with the hue, saturation and sharpness of each default tonal setting to achieve his intent to relate each shot. The Fn button next to your camera grip can be configured to instantly allow you to call up the available tonal setting that you can almost instantly choose to use. This truly makes Nikon a one-hand shooter champion. ISO is a big element in digital photography when most camera boasts a usable ISO of up to 12800. 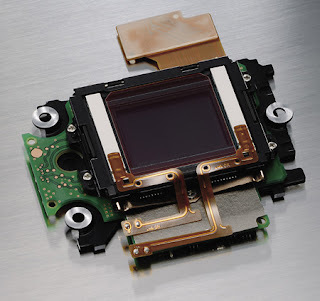 But in the law of silicon sensor, image deterioration occurs from beyond ISO 1600. If you are a seeker of better image quality, you would stay away from using ISO beyond 1600. This of course comes with a price that you need to balance as shots made without flash (best practice) at ISO 1600 will now require a much steadier hand or tripod. NEF/RAW image format is always recommended as each shot is stored uncompressed. The Nikon ViewNX software or other more pros applications can help convert those winning shots to JPEG when needed. Its a bit like the Lenovo Thinkpad to a Nikon camera and Canon to a Fujistu Lifebook. Its not exactly love at first sight. Perhaps, from the familiarity of compacts to a SLR, all of them love big and ugly. But I must say, the red lip on the right hand grip of the Nokia D90 cries out in a certain appeal on an overall glance. The Nikon D90 has been heavily reviewed on the Internet and I am not about to reinvent the wheel again here. With slightly over a month of hands-on, I find myself stuck 99% of the time using the P mode of the command dial. For whatever specific reason the Macro, No-flash etc. mode were provided, I have yet to find good reason to use them. The gap cover sitting to cover the flash mount is well-engineered and surprisingly, many of the dials and buttons were much better position to promote one-hand shoot. The image gallery on your right shows you some of my work as my interest in using it grew. As far as buttons are concerned, the play, WB, QUAL and Lv buttons are most commonly used, against others like the AF, Exposure compensation and Lock functions. Finding the on/off toggle below the shutter release is a fine touch to the idea of human friendliness as startup is quicker when a shot is called for. The battery grip basically extends your shots between recharge routine and makes the photographer appears more professional. In addition, the acceptance of common AA batteries makes emergency situation a breeze to continue shooting. Sony has a dear place in my heart when I own the first Sony UMPC in the market. Its built to last though pricey all the time. Its to many, a love and hate relationship. Sony leads in many fields of technology but has outpriced herself beyond the reach of many more. Here comes Sony's acquisition of Minolta and viola! The alpha series DSLR is born. It took me over two months to evaluate Sony's DSLR, with many ins and outs of their concept stores. It was informative and heavily showered with fancy brochures and hands-on experiences. Verdict - dated design with wobbly shutter release coupled with unproven Exmor sensor grid. Again, slow startup sequence (as power switch is across the body from the shutter release) hampers the overall friendliness and ergonomics of the product, making it lackluster and unattractive to own one. No doubt in the department of image quality when Carl Zeiss lens are used. Custom functions menu are so limited and that it can only accomodate instant switching into one single predefined parameter, making spontaneous variety shots impossible. Perhaps, a wait of few more years may help Sony better position her photography unit against the leaders? OK. 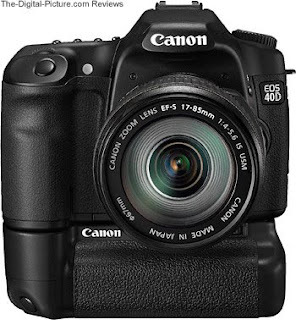 The Canon 50D is slightly beyond my budget (with a decent lens that is) so, I reviewed the older brother - 40D. Its a masterpiece and its within a $1500 price tag. To begin, the CMOS sensor is a tat small - 10.1 MP but hey, it gives wider per pixel footprint to capture its light pixel. Frame per second is good too but useless unless you are a hard-core sport photographer where FPS counts. Low-light shoot performance is average at the default ISO 1600 but the sRAW file format support is commendable. Now, here's the major difference - 9 cross-type AF points. Mind you, many rivals have 9 or 11 AF points but a fraction of them are cross-types. This boasts significantly more accurate and nimble focusing. The live view is pathetic as long as its not VGA resolution but the silent shooting mode in the 40D just brings silent shoot into reality today. Grid display in view finder is porky and the buttons/dial placement throughout the body is simply disastrous - One hand operation is almost impossible to achieve. Custom functions are mediocre and it scores poorly in post editing functions within the camera menu. 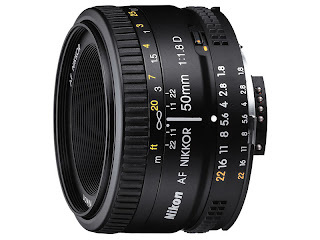 The kit lens just won't do and you are required to get something better by default. Bundled software is good and well-considered as opposed to nearest rival - Nikon. All said, picture value lies in the quality of the lens and the overall image composure. Its not just the body that dictates. Hmm...I know there's two big camps when it comes to choosing a make of SLR - Canon and Nikon but it comes down to objectives in each possible evaluation I made. I love Canon, especially the G series of compact camera - G9. They are nimble and again well-made and takes OK pictures compared to her German rival - Leica. How about the Canon SLR then? In a phrase, competitively competent. Hey, though heavier than her rivals, is worth every penny. As you know, I seek reasonable perfection, but not the ultimate, as I don't make a single cent out of my optical hobby. However, having a Macbook Pro, in my opinion, is an ultimate, as I make thousands of dollars with the use of it as a professional Business IT Advisor. 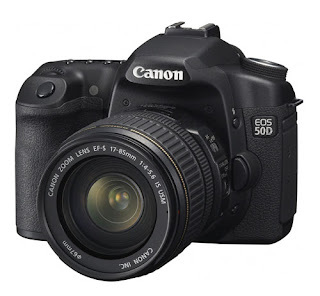 So, my immediate review will not include any entry-level DSLR like the Canon 450D or Nikon D60 or Sony A350. Hope you understand. Attached is a very hot contender in what I would consider. So, don't just buy the camera kit, but accommodate the above in your hobby budget. O right, remember to bring your camera for routine servicing (like your car) after a year or so for calibration. Being a perfectionist in pursuing image sharpness yet petite footprint, I have been an avid fan of compact cameras such as Leica D-lux 3, Contax T3 and Sigma DP1. They produces sharp well-contrasted images but not "rounded" enough for my insatiable appetite for better quality pictures. So, my hunt began and it soon drew me to the arena of the bigger brother of photography - SLR. The budget-conscious mindset of mine has never entertain the idea of owning a "bottomless-pit" hardware like the SLR but it still demands my attention as I review its pros and cons. Only a few in my radar scope but complex enough to boggle your career-oriented, family-focused mind that many of us are in - Canon, Nikon, Sony and perhaps Olympus. Canon is simplistically solid; Nikon, advanced and well-designed, Sony, Minolta's heritage all over while Olyumpus weather-hardy but short historical lineage. 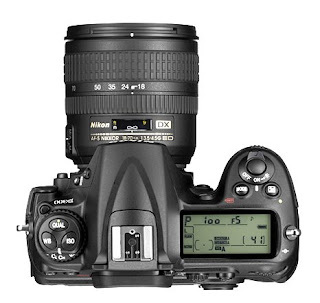 Attached is my final decision - Nikon D90. 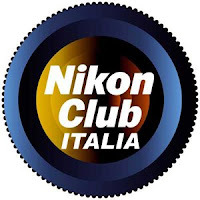 Welcome to the Nikon D90 Lab! Relax! Owning a D90 is fun but can be daunting if you are a beginner to using a DSLR.